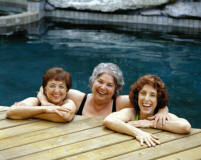 1000's of Women Have Said Goodbye to Hot Flashes and Menopause Symptom's, Find out How They Did It. 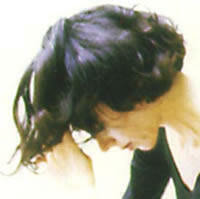 Women arrive at the experience of menopause in a state of confusion, bewilderment, and fear. Is menopause a disease? Are hot flashes, dizziness, forgetfulness and palpitations normal during the menopausal change? And when does perimenopause stop and menopause begin? And what about those studies! Does hormonal replacement therapy cause cancer or prevent it? It is hardly surprising that women know very little about menopause. Yes, they know that it's inevitable and they know that the menstrual cycle ends. But very few women actually know what is happening to their bodies, why certain discomforts or symptoms occur and, more important, what their options are for coping with and dealing with menopause. Technically speaking menopause is a medical term that means the normal and complete cessation of the menstrual cycle, including both ovulation (the release of an unfertilized egg from the ovaries) and menstrual periods. So, with this in mind one can see that menopause refers to a woman's very last menstrual period. A woman is said to be "in menopause" when she has not had a period for one year or more. Disrupted menstrual cycles and irregular periods are common flags of the time preceding menopause. This time is now commonly referred to as perimenopause and can last for years. What Are The Benefit's of Using Maca For Menopause?